Course Website: Official Website - Visit Kona Country Club's official website by clicking on the link provided. 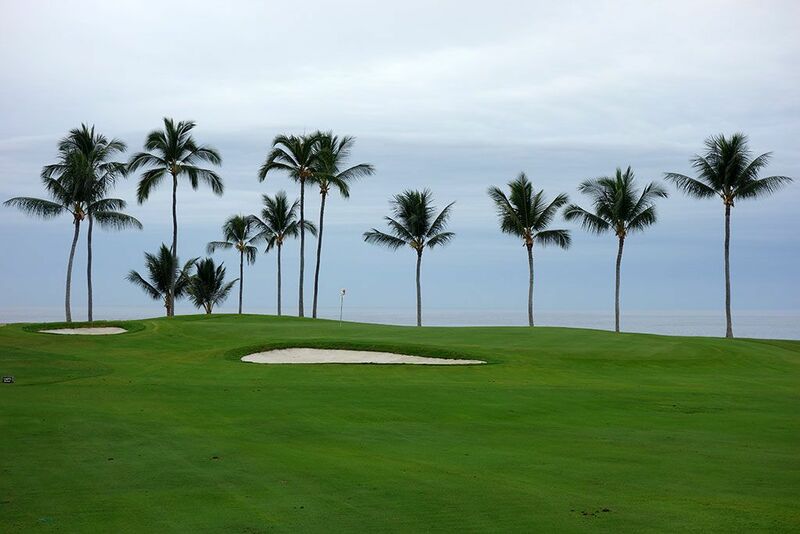 Accolades: Ranked 21st in Hawaii on Golf Course Gurus' Best in State list. What to Expect: Formerly 36 holes with one 18 known as the Alii Mountain course and the other as the Kona course, Kona Country Club took on a renovation project that included abandoning the Alii Mountain course and breathing new life into the Kona course which was renamed the Ocean course due to the impressive views of the Pacific found throughout much of the round. The Ocean course features plenty of elevation changes throughout the layout including the opening tee shot that drops about 30 feet from the tee box to the fairway before featuring an uphill approach. 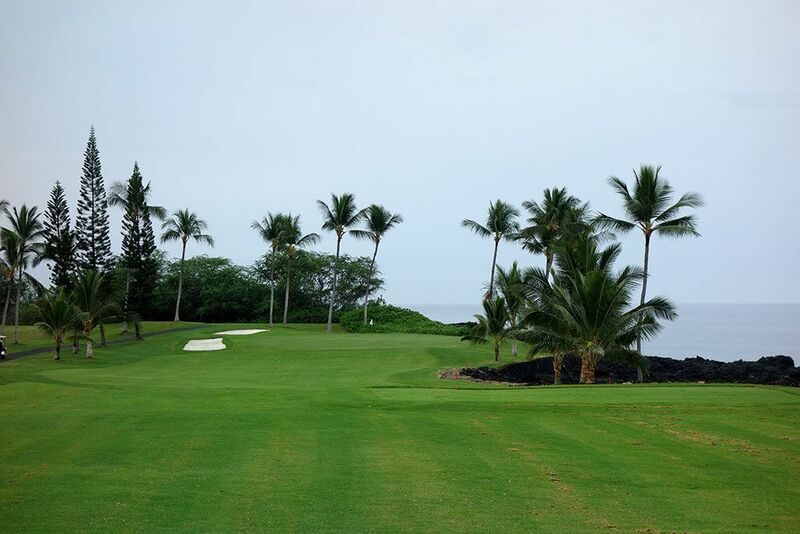 A couple of holes on the front as well as on the back play right on the ocean which provides an impressive setting to enjoy; a perk everyone wants in Hawaii. 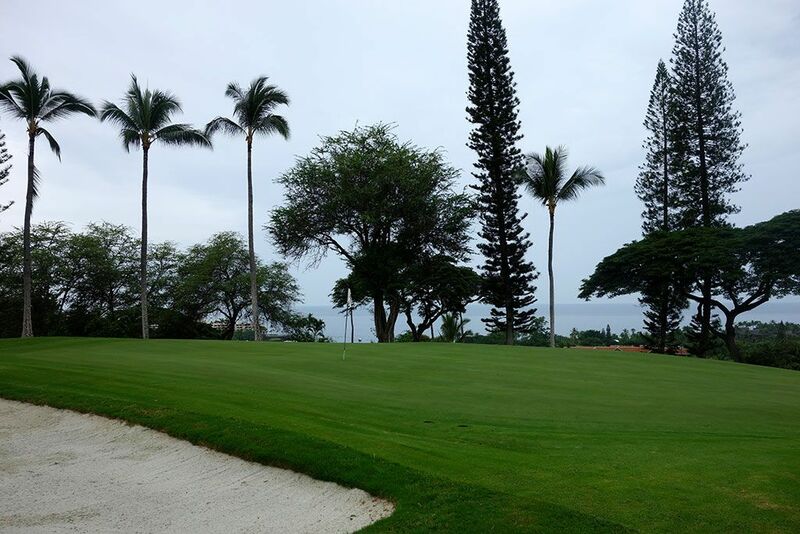 The bermuda grass is maintained in great shape and the weather is almost always great considering Kailua-Kona averages less than an inch of rain per month. 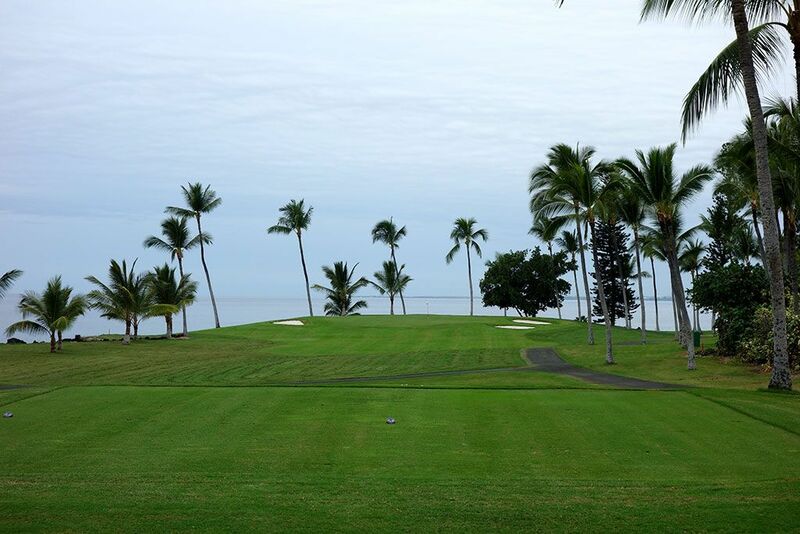 The fairways are mainly lined with palm trees as well as Cook and Norfolk Island pines, though other tropical foliage is also found throughout the routing. 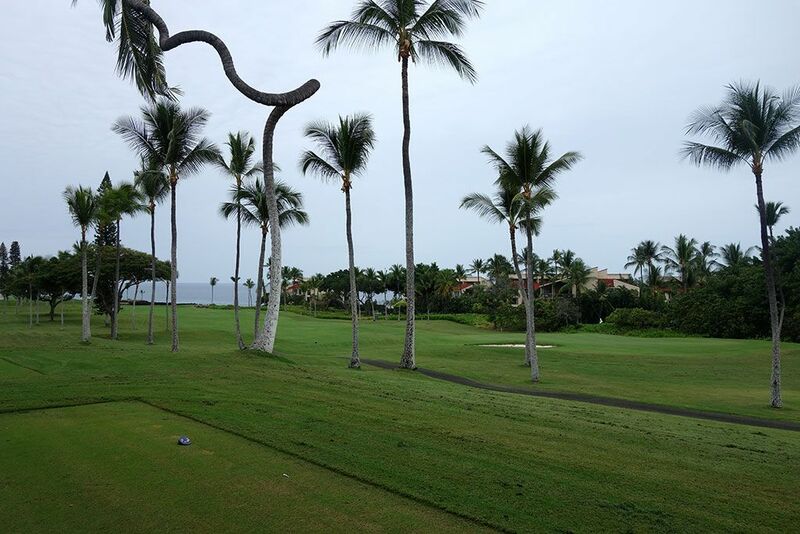 While Kona Country Club may not get the same hype as the resort courses further north up the coast, the Ocean course is a very solid layout and certainly worth playing when on the Big Island; especially if you can find a discount on the stiff green fee. Signature Hole: 3rd Hole – 218 Yard Par 3 – Players are given a dramatic encounter with the ocean here on the 3rd hole, but it isn't a do-or-die tee shot like other ocean shots you'll encounter in Hawaii. 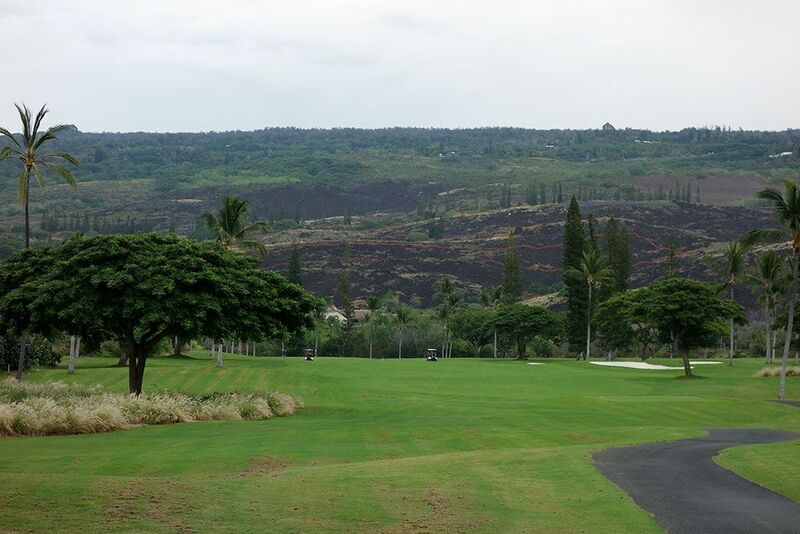 With the Pacific on your right, a lava rock wall is all that separates the ocean from the green while a pair of bunkers lie in wait on the left for those wanting to bail out. If you don't have the confidence to attack the pin, short and left of the green is the safety spot to hit to and will offer a good chance to get up and down from. This early test is a good indication of the fun and challenge that awaits at Kona Country Club. Best Par 3: 12th Hole – 189 Yards – Another encounter with the ocean is offered on the par three 12th hole, but this time the Pacific frames the background rather than coming into play much off the tee. A trio of bunkers hug the putting surface while palm trees frame the fairway; a scene that leaves no doubt that you are in Hawaii. With the center of the green wide open, players can successfully bring an aerial or ground shot into the putting surface and have a chance at birdie. Best Par 4: 13th Hole – 414 Yards – If you haven't been playing the tips, now is the time to step back and stretch out the golf course because the back tee on the 13th is the most dramatic on the course. 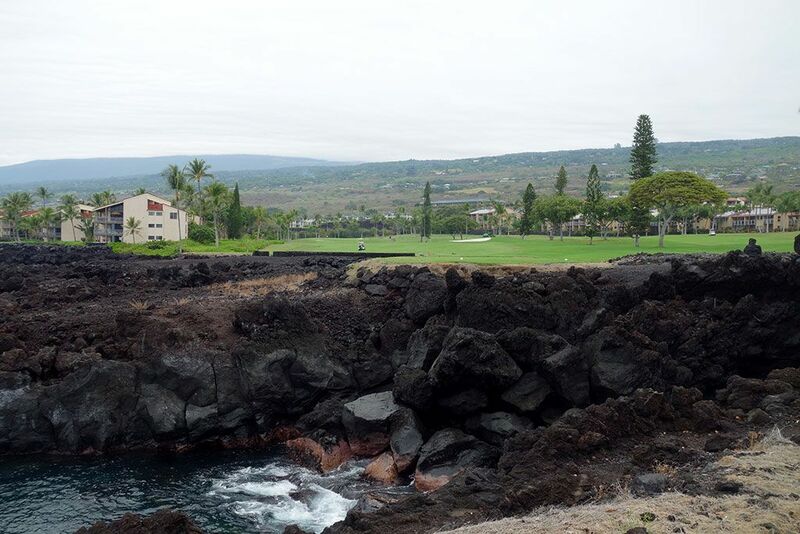 From the tips players have the ocean to their back and a lava rock laced ocean inlet in front of them that they must carry to reach the fairway beyond. With o.b. also framing the left side, this is the most demanding tee shot on the course and certainly one of its most memorable. Best Par 5: 2nd Hole – 508 Yards – Kona Country Club doesn't waste any time introducing the ocean to players as evidenced here at the 2nd hole. 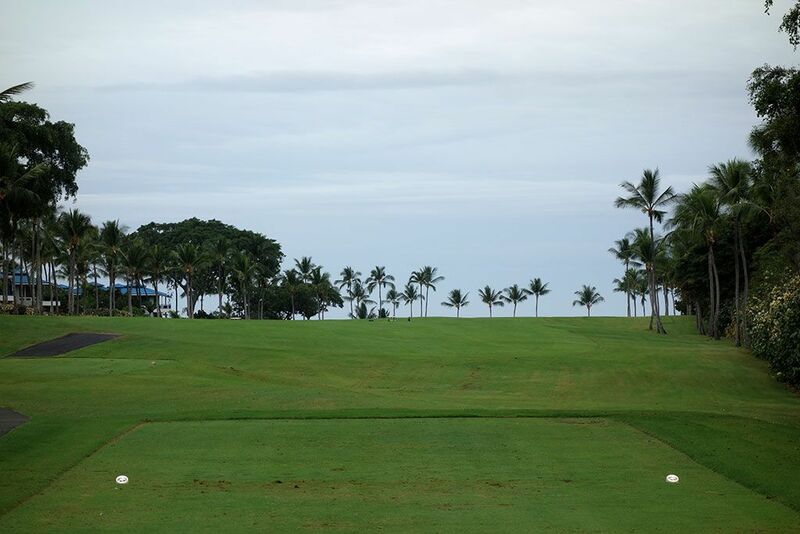 The fairway plays slightly uphill which helps build up the anticipation as players traverse towards towards the green where the mighty Pacific engulfs the background. At just 508 yards from the tips this green is reachable in two but a miscalculation could kick your ball into the water so it may be wise to lay up to your favorite yardage and go pin seeking from there. Birdie Time: 18th Hole – 455 Yard Par 5 – If KCC's goal is to send you home with a smile then their mission is accomplished with this finisher. At just 455 yards this green can be reached in two with an iron on your second shot which greatly increases your chances of walking off the 18th with a birdie to your name. The sloping fairway kicks balls to the right where a grove of trees lie in wait, so successfully navigating up the left side of the fairway will be a great benefit to you on your uphill approach shot. 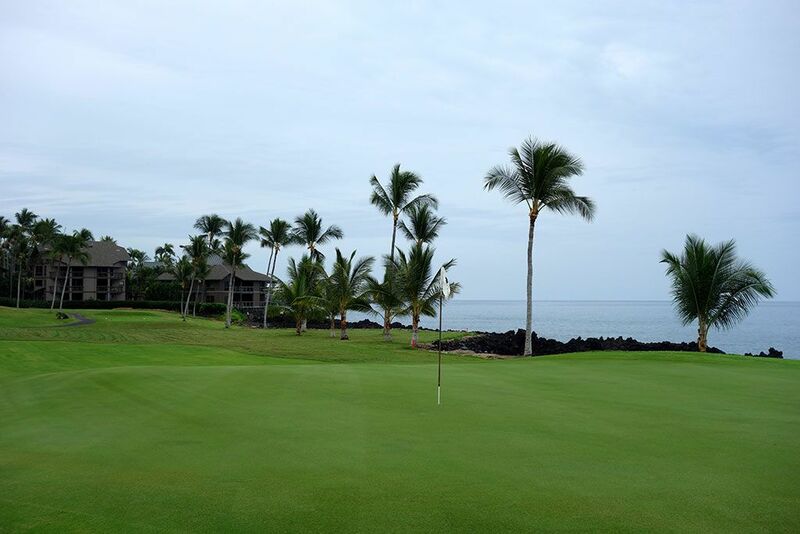 Upon reaching the green, players are afforded one of the most impressive views on the golf course as fairways, palm trees, and the Pacific Ocean create a fitting canvas to etch in your memory. 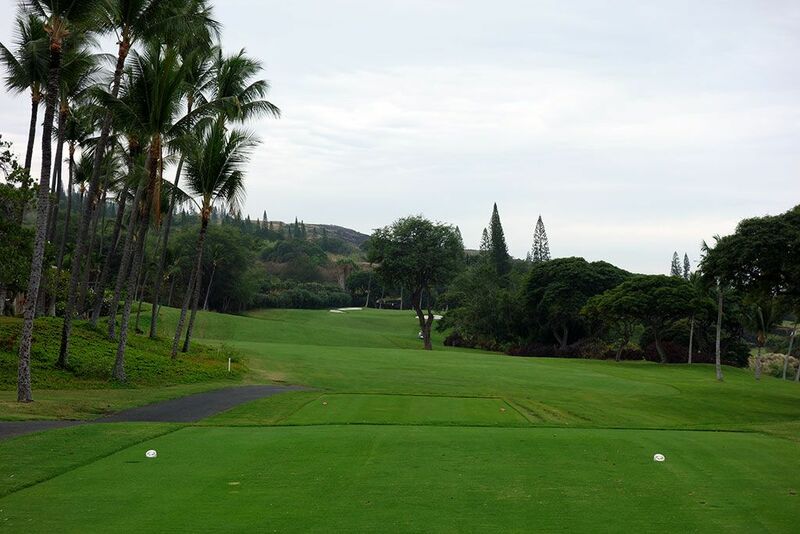 Bogey Beware: 4th Hole – 442 Yard Par 4 – Kona Country Club's longest par four is this bruiser at 442 yards. The slight dogleg left can be your friend or enemy as a draw will shorten the yardage while a fade off the tee will create a very lengthy approach. A flare to the right will bring the fairway bunkers in play as well which is a sure fire way to guarantee a bogey. This is a tough hole and you'll need to be smart in how you attack it. With the ocean to your back and a mountain backdrop ahead, the setting isn't too shabby either.